Stanchions and Beams for a Power Center | Piping Technology & Products, Inc. Piping Technology & Products, Inc. designed and manufactured carbon steel and alloy stanchions for a power center in Arizona. PT&P also produced carbon steel beams for the project. These stanchions are made to fit Extra Strong and Standard pipes, which are 3-12 in size. 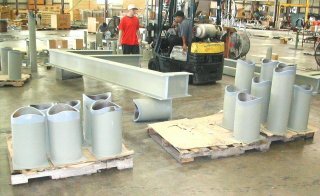 Figure 1 shows the stanchions and beams for this job before they were coated with a green primer and prepared for shipment. Do you see a need for stanchions and beams in your power plant or refinery? Get pricing today!